'Give back' and 'give forward' plans. Mozilla has confirmed plans to hand Thunderbird over the community in order to focus on Firefox. 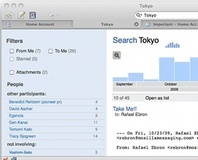 The Mozilla Foundation's e-mail client, Thunderbird, has finally had an overhaul - and jumped from version 2.0 to 3.0 in the process - bringing tabs, timelines, and other toys. Mozilla has released an update for the popular Firefox web browser which addresses several security flaws deemed 'critical'. 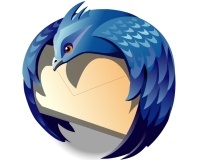 The first alpha release of the next Thunderbird e-mail client has been made available for download under the codename Shredder Alpha 1, and it's got some nice new features. The Mozilla Foundation is injecting £1.49 million into a new company that will handle the development of Thunderbird and develop other email innovations. Mozilla to put Thunderbird out to pasture? Mozilla's CEO has laid out three possible futures for Thunderbird, and is hoping that the community can choose the free email client's fate. 3, 2, 1 Mozilla Thunderbird 2 is go, supporting Vista and great new features like Message Tagging, improved Search and Advanced Folder Views. 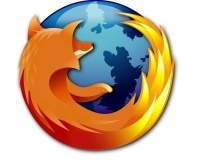 Help make open-source browsers better by beta testing FireFox 1.0.6, Thunderbird 1.0.6 or Mozilla Suite 1.7.10.